The Master of the Chi Claw Mouse is a breed of mouse found in the Furoma Rift. It is the Rift counterpart of Master of the Cheese Claw Mouse. 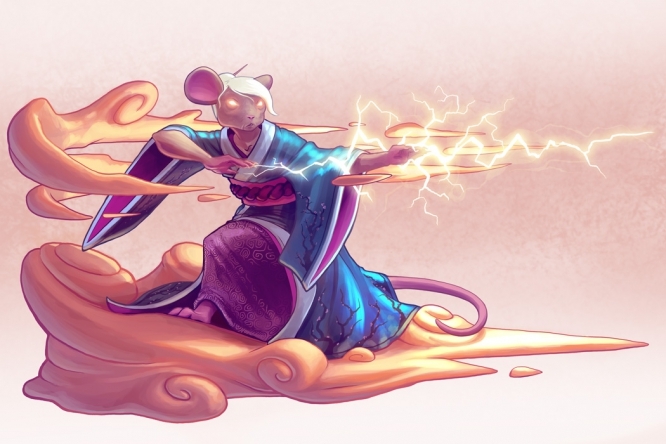 The Master of the Chi Claw Mouse has been found to be especially attracted to Master Fusion or Rift Susheese cheese, to the point that any other kind of cheese will simply not suffice. Only Rift type traps are very effective against Master of the Chi Claw Mouse, all other power types are ineffective. 18 May 2016: Master of the Chi Claw Mouse was released with the release of Furoma Rift. This page was last edited on 31 August 2017, at 08:49.